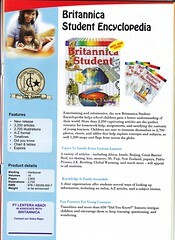 Entertaining and informative, the new Britannica Students Encyclopedia Helps school children gain a better understanding of their world. More than 2, 250 captivating articles are the perfects resource for homework help, assignment, and satisfying the curiosity of young learners. Children are sure to immerse themselves in 2, 700 photos, charts, and tables that help explain concept and subjects, as well as 1, 200 maps and flags from across the globe. A variety of articles � including Africa, beetle, Beijing, Great Barrier Reef, Ice Skating, Kite, memory, Mt. 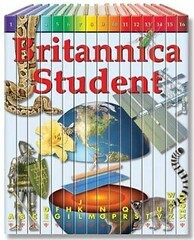 Fuji, New Zealand, papaya, Pablo Picasso, J.K. Rowling, Global Warming, and much more � will appeal to all students. A clear organization offers students several ways of looking up information, including an index, A-Z articles, and a subject browse. Timelines and more than 650 � Did You Know? � features intrigue children and encourage them to keep learning, questioning, and wondering.